Cleveland Chamber Symphony performs Sunday, April 7, 2019 5:00 p.m. 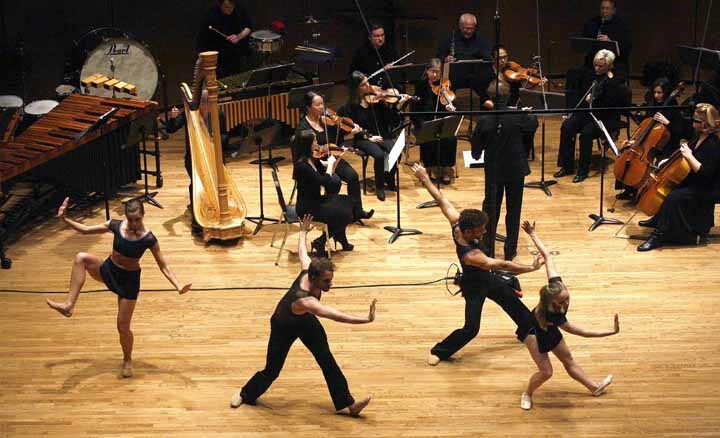 The Cleveland Chamber Symphony performance will include works by the Cleveland Composers Guild set for dance by Cleveland's Verb Ballets. This performance is part of the NEOSonicFest - A Northeast Ohio New Music Festival. Steven Smith (Conductor and NEOSonicFest Artistic Director) has served as Artistic Director of the Grammy Award-winning Cleveland Chamber Symphony since 2005. He began his tenure as Music Director of the Richmond Symphony with a Gala performance of French and Spanish orchestral masterpieces in April, 2010, and is currently in his 9th season. He served as Music Director of Santa Fe Symphony & Chorus from 1999-2013. From 1997 to 2003, Steven Smith served as the Assistant Conductor of the Cleveland Orchestra. Particularly interested in the role of orchestras in arts education, he assisted in the planning and conducting of the Cleveland Orchestra’s educational and family concerts and hosted the orchestra’s annual broadcast video-conference, which won an Emmy Award in 2001. For five seasons he also served as Music Director of the Cleveland Orchestra Youth Orchestra during which time they appeared by invitation at Carnegie Hall. During 2002-05, he also served on the faculty of the Oberlin Conservatory, leading both orchestral and operatic performances. Steven Smith is also an active ASCAP award-winning composer, receiving commissions from the Cleveland Orchestra, Grand Rapids Symphony, Eugene Youth Symphony and solo artists. He was named Ohio Composer of the Year for 2008.